Some travellers like to check places off a list and never return. I actually love returning to places that I’ve been before: it’s interesting to see what has changed, to compare it to my memories, to catch up with people I met there. I also love visiting brand new places, of course – that’s how Iceland got a guernsey for next year – but returning to destinations of past fun is also something I adore. Of course regular readers will know that I lived in Japan for a couple of years and loved every minute of it. Although it’s now over a decade ago, I haven’t managed to return to Japan yet, and I desperately want to. Both my son and husband love Japanese food so they’re easy to convince but there are so many reasons I want to go back there. For a start, there’s the polite and friendly Japanese people – they are so helpful and kind to foreigners and I made a number of good friends there. And I really hope I’m able to find my friend Yuko again before I return. Then there’s all the cool stuff that tourists to Japan see, which is so different to home, like all the temples and shrines in all kinds of nooks and crannies. Some are colourful, some are serious, some have rather odd and very specific purposes – I love it. And very importantly, I totally want to eat genuine okonomiyaki again. In fact what I really want to do is go to Fuse train station in East Osaka and see if our favourite okonomiyaki shop is still there, and if it is, if they still have the “potekon” okonomiyaki on the menu – it had potato, corn and cream cheese chunks and it was DELICIOUS. On my honeymoon trip we spent a few days (based in a YMCA near Central Park) in New York City. Just as I expected I really truly loved New York. But a few days was nowhere near enough to let it all soak in. There are so many galleries and museums that I want to explore, and I just want to sit and read for hours in the New York Public Library (I was only there for a matter of minutes!). I’m not really a big one for American culture but there’s something about New York that makes me want to spend a couple of months there. Perhaps it’s the oddity of it being such a familiar place, a city I’ve always heard, seen and read about; and it’s a place where so many people go who really want to “make it”, whatever that really means. I just want to get to know it better. Hong Kong is where I first set foot on foreign soil, as an eight-year-old (I turned nine the next day). 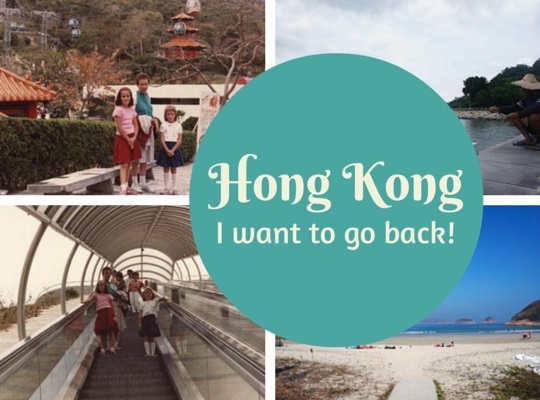 I’ve been blogging about wanting to go back to Hong Kong for a couple of years now, and I probably should just go and get it over with, right? This sentimental feeling of wanting to go back to where my love of travel again is part of it; I’m also intrigued in general by Hong Kong, a city that’s been re-swallowed by China, but to what extent (I want to see it for myself), and a city that has these amazing natural corners as well. And food! I want to eat All The Food. Norway is another country I haven’t returned to since my childhood trip to Europe. I guess it was a cost issue while I was living in Europe and the fact that it’s just a bit further away than so many other countries, if like me you’re living in Slovakia and southern Germany. But like the other Scandinavian countries (which, incidentally, I also really want to return to – they would have made this list if it was longer), Norway has so many fascinating aspects. Great social welfare, smart kids, lots of bilingual people, and then top it all off with mind-blowing landscapes and especially those famous fjords, of course. I feel like I’ll be reminded of Norway by Iceland next year, but of course I’ll actually have to go back to Norway to confirm or deny that! I visited Taiwan kind of by accident, just because it was close and cheap to get there from Japan and I guess somebody probably recommended it, but I didn’t really have any expectations. 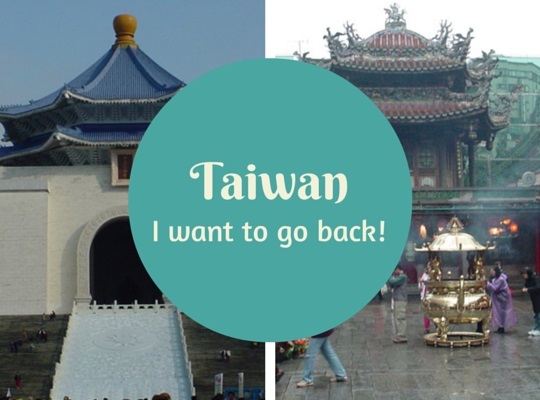 Yet I really loved it – I spent a few days in Taipei and a few in the countryside – and definitely want to return. What’s made me want to go even more is that when I was teaching ESL here in Australia, I met so many Taiwanese people, and without exception they were all so delightful. I used to describe them as the perfect students: they have the industrious, hard-working nature of the nearby Japanese and Koreans, but very little of the shyness – most of them have the confidence and chattiness of their European or South American counterparts. It really made teaching them such a pleasure. So I’d love to go to Taiwan most of all for the people. Where would you like to revisit? Do you have a favourite place or two you’d like to revisit? Why? Please let me know in the comments! 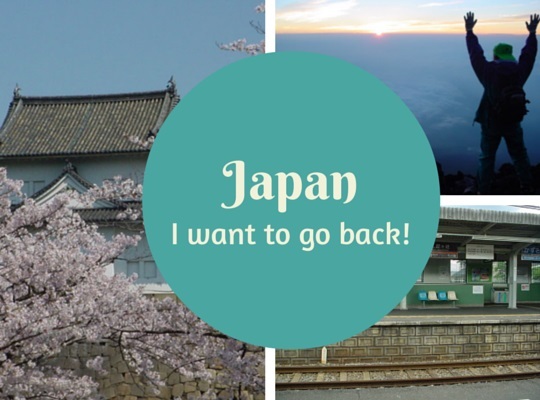 Oh yes Jo – EVERYONE has to go to Japan! Thanks for the impetus to think about this, it was lots of fun. Love this list. I definitely want to revisit Japan because there is so much I’ve still yet to see, Taiwan because it surprised me with its fabulousness and food, Cambodia because it has my heart, Oman because of its amazing landscape and people and France because cheese! Great list Aleney, I am very keen to get to both Cambodia and Oman sometime – a friend is just leaving for Oman, I’m so envious! And yes. Cheese. No more needs to be said. That sounds wonderful Hilary! I haven’t been back to Scotland since my first visit as a nine-year-old and I would definitely like to. I remember Skye very well! I would love to go back to Japan to see Fukuoka, I was only able to visit Osaka and Kyoto (both were beautiful!). I think if I had to choose a European country to revisit, it would be Croatia, or Bosnia. Mikaela, I definitely want to go back to Croatia too – and explore all the rest of the Balkans better (i only had a half a day in Bosnia, popping into Mostar quickly) – and yes, Japan for sure. You should add Hiroshima to your must see in Japan list, that’s my recommendation! Great list! I see you are a big fan of Asia. I actually have only been to New York (well I also lived there as a kid) and I have a weird love/hate relationship with that place, but I agree, I want to see the museums and some cultural activities there. Plus, the food in New York is awesome with all the ethnic diversity. And Norway, ah I am dying to go to Scandinavia, it looks so beautiful! For me, I always want to revisit Berlin, it’s my very favorite place in the world! I would also like to go back to Croatia and visit more of the coast. Katie, I have to agree with you, I also want to revisit Berlin – in fact I’m going to next year! And definitely I need to head back to Croatia again sometime too, I need to see more of it. Colombia – and in particular Medellin – for me. I first went there on a trip backpacking through Latin America. To this date I’ve never come across more friendly, warm, generous, and kind hearted people. I went with the intention of staying a week or two, ended up living there for 6 months! Whats-more, I think I understand now why the idea of arriving on time is so flexible, it’s hard to go from one destination to another without stopping to chat with every second person you come across! Amir, your experience with Medillin sounds brilliant – especially if you ended up living there for six months! I met many Colombians when I was teaching English here in Perth including lots from Medellin, and all of them were friendly and lovely without exception, so I’m not surprised to hear how much you enjoyed your (long!) stay. Like you it is hard for me to find places I would not like to revisit. Even countries that weren’t at the top of my Love List deserve to get revisited just so I could visit the parts I missed the first time – you just never know you may find the best place ever on your next visit. My top 5 would be Turkey, Spain, Portugal, Japan, Canada. Two countries on your top 5 list that I haven’t made it to yet (Turkey and Portugal) but am very keen to! I’d love to revisit Rome just to give it another chance, since I didn’t like it the first time around and everyone always raves about Rome. I’d also love to return to the Dalmatian coast in Croatia, in particular Dubrovnik. I did a day trip there in 2002 and it was so rushed that it didn’t leave me with the greatest impression (plus I don’t think I really appreciated it enough). The dilemma is whether I revisit places or try new places! With kids, its easier to go back to familiar territory. I had to leave Dubrovnik sooner than expected too and I have always wanted to go back!! I’d like to revisit Canada. I only went once and we didn’t even stay the night. I’ve seen so many beautiful photos of Canada and I love the far north – perhaps since I’m from the south it always seems like a nice respite.